It's been a while since I've done a good old outfit of the day(/a few days ago) post, and this one was too fun and bright not to share. I got this top for a ridiculous $2 (yes, TWO DOLLARS) from Cotton On, and I just knew I had to pair it with my red boat shoes that I should really wear more often. 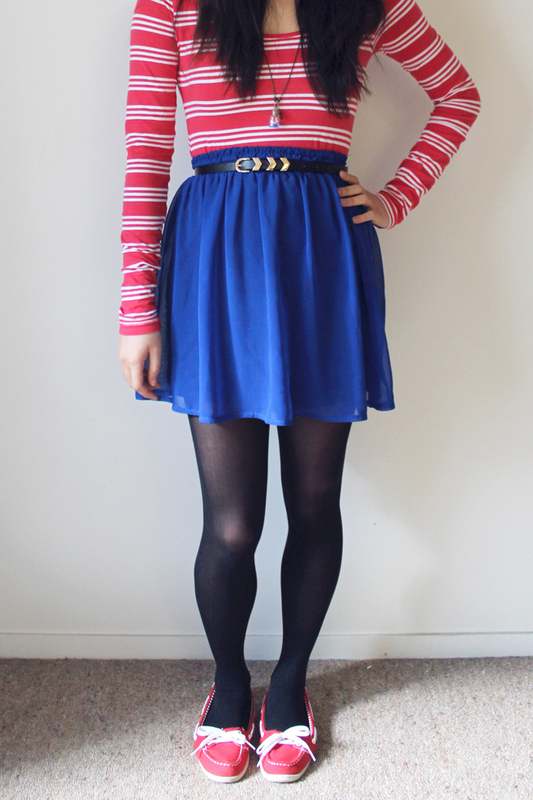 After adding the skirt into the mix (I'm quite a fan of the stripes and skirt combo at the moment), the whole nautical feel really took shape, and the accessories were just the icing on the cake. I received this handmade bottle necklace from my brother as a birthday present (how cool is that little origami boat! 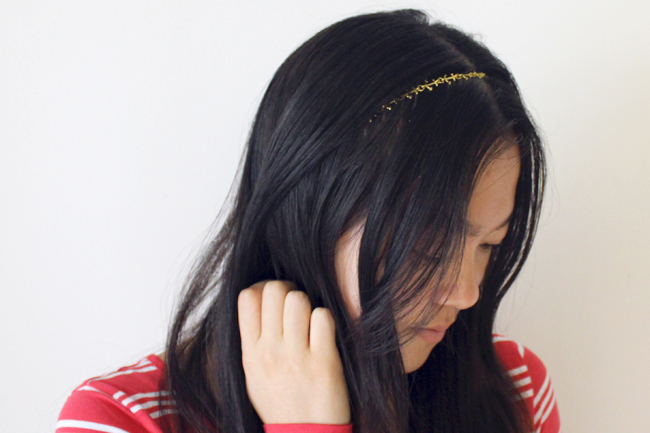 ), and the cute mini anchor headband has been sitting in my accessory drawer for years (literally), so it was nice for it to see the light of day. 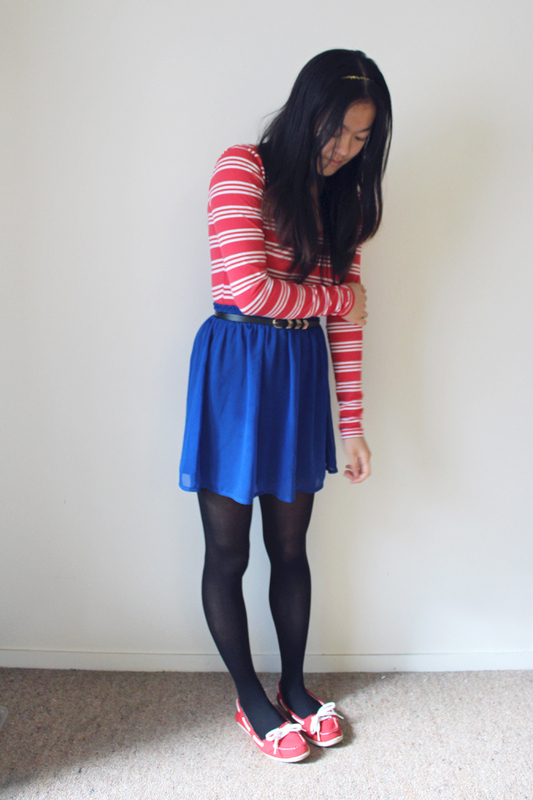 Ca-ute outfit, love! 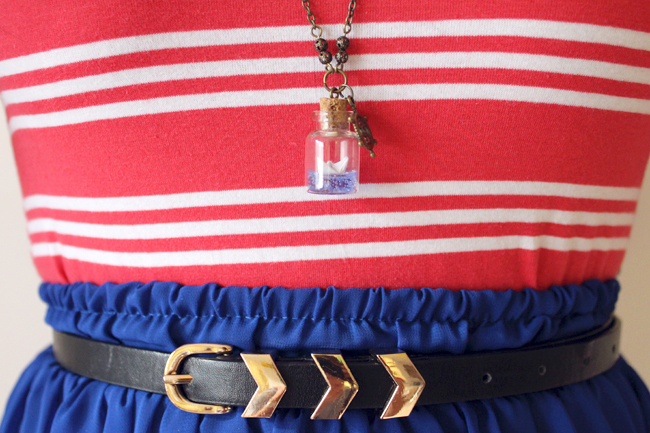 I especially love the bottle necklace. Perfect touch. Love this color combo! The shoes are soooooo cute! you are adorable. love your blog layout. wow I know theres bargains to be found at cotton on but $2!! i should pop in more often, that sounds like something a student can afford haha. 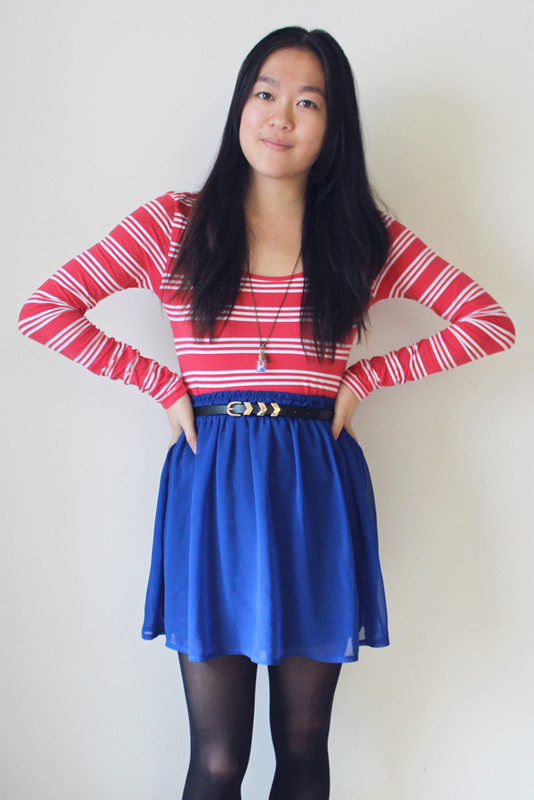 I love the nautical look, stripes are always a winner for me, and the boat shoes are so cute they top it off perfectly! Hi Christine, please email me at: helenashideaway@gmail.com for a better picture :) Thanks!